I participated in three high-altitude balloon launches (3-5) of the HacDC Space Blimp group. My task was to provide a sensor suite that would record flight conditions throughout the launch, which frankly is "easy" from a robotics stand-point. Given all that I've learned, I figure I should share it for others to stand on our shoulders. How much does it cost? What goals can be accomplished? Get a quick overview of what it's like to send something to space with a balloon - with plenty of pictures and videos. Is GPS weaker with altitude? How are GPS coordinates transmitted? This is how I used GPS for the balloon. This tutorial is about how to measure atmospheric pressure; pressure is useful for determining balloon altitude and other atmospheric conditions. I also compare the accuracy of a pressure determined altitude by using GPS. To design a package capable of surviving launch and re-entry, forces in 6 DOF need to be known. I will show how I measured the forces, and the results. Is space actually cold? Does the sun 'microwave' electronics when there is no atmosphere? How does temperature vary with atmosphere? What is the best form of insulation for electronics on a trip to space? These and more questions are answered here. Does a cell phone with GPS and text message capability work in space? I attached a cell phone transceiver to my microcontroller to update a twitter account of its GPS position and various sensor data in real-time. Learn here how I did it. What is the day of the launch like? It's not just about attaching a camera to a big balloon. Logistically, it's much more complex and requires a small team of motivated people - and even then many things can still go wrong. Are solar panels better than batteries for high altitude balloons? This is how I partially powered my circuit with a solar panel. Current and voltage with respect to light, altitude, and temperature was measured. It's not as easy as slapping a camera onto a balloon. How can you be sure you'll have pretty pictures of the Earth? Would the temperature swings damage the camera? What is the optimal angle to point the camera? What are the best contrast and brightness settings? What is the best way to package everything? Is it too much or too little insulation? This is how we built our packages that were sent to space. Ok, you've sent up the balloon to space and then it falls back to Earth. Where the heck did it fall? Follow this tutorial correctly, and you'll be at the landing spot before it even lands. If you just send your balloon up without any planning it'll be 'gone with the wind' in no time (that's a bad thing). By doing the proper math, you can greatly increase the success and goal accomplishments of your balloon - and the time spent now will save you much more time and money in the long term. So how does one use fancy computer simulation to plan a balloon launch? Read on to find out. Does the magnetic field change with altitude? Does the magnetic field change as the balloon approaches space? Could magnetic disturbances be detected from space? I tried to answer these questions by putting a magnetometer on the space blimp. Read on to find out what I discovered. Is there more humidity below clouds, in the clouds, or above the clouds? This enquiring mind had to find out. Read on to see how I did it and the results. If something goes wrong, you can't just tell the balloon to stop after it's launched. It either works or it doesn't. This requires an entirely different thought process than the normal trial-and-error methods that worked for you in the past. Here are the ways I've learned to make sure it works on the first try. Where is there more radiation - on the Earth or in space? I wired up a store-bought Geiger Counter to a microcontroller to datalog radiation. It went through a series of tests to show it'll work in space before sending it up. This is how I did it. Following the law isn't just about staying out of jail and avoiding fines. It's also about well thought out regulations that prevent accidents and save lives. This is your one stop shop for legal information, with both legalese and down to Earth explanations. 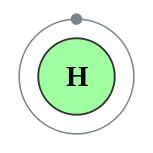 Hydrogen isn't nearly as dangerous as you think. Hydrogen is not only cheaper but also has higher lift. There is plenty more information online, so here is a short list of what I found to be useful knowledge. Also a short list of where to buy balloons.